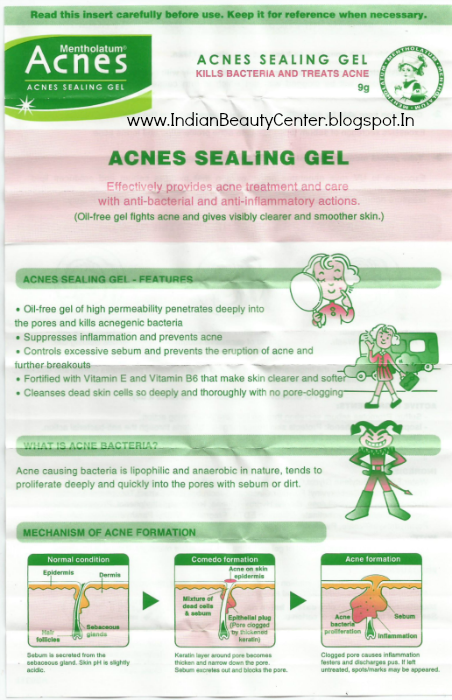 Product Description- Effectively provides and Anti-Inflammatory Gel Kills Bacteria and Treats ACNE • Anti-bacterial: Formulated with Isopropylmethylphenol penetrates deep into the pores and kills acnegenic bacteria • Anti-inflammatory: Formulated with Stearyl Glycyrrhetinate, suppresses inflammation and prevents acne. 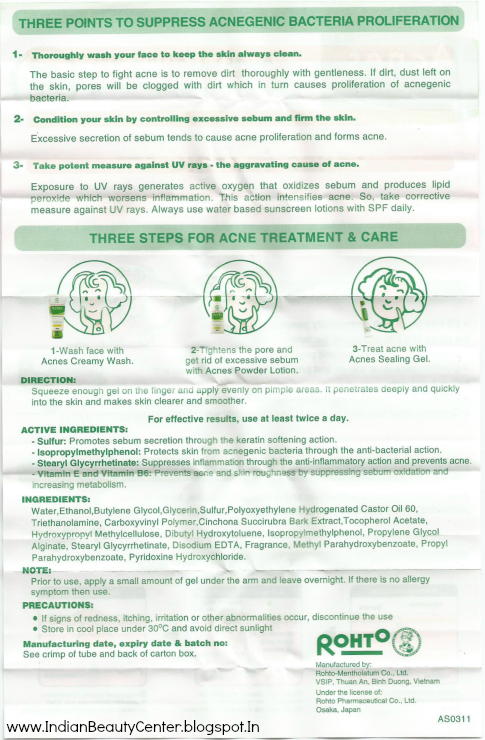 • Sebum inhibitory: Controls excessive sebum and prevents the eruption of acne and further breakouts. • Keratin softening: Cleanses dead skin cells so deeply and thoroughly with no pore-clogging. 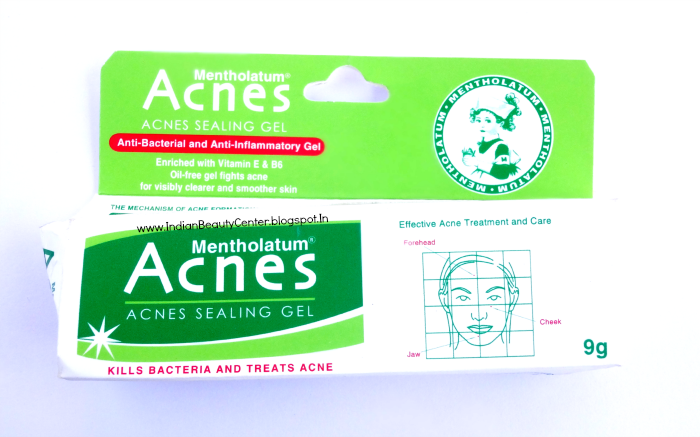 Packaging- Mentholatum Acnes Sealing Gel comes in an outer cardboard box in which the tube of the acne cream has been kept. 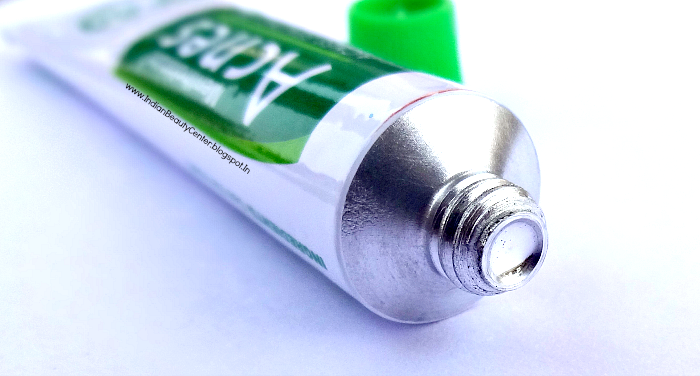 The tube has a nice, tight-fitting cap and yeah, overall the packaging is good, the green color is attractive but the size of the tube is really small. 9 grams of a product for Rs. 120 sounds too much to me. Fragrance, consistency, color- Smells like sulfur, like something burnt and acidic. The consistency is thick but is spreads well onto the skin and gets absorbed in minutes. 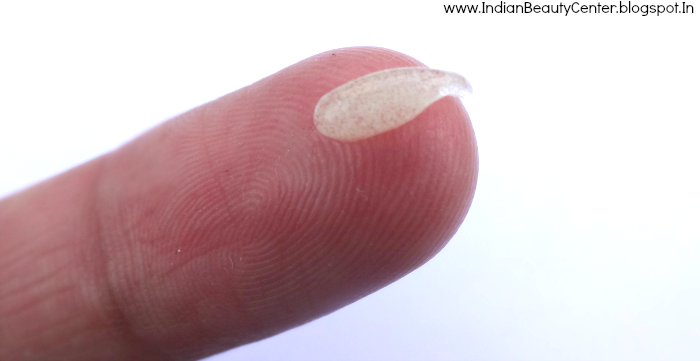 The gel is almost colorless but has many whitish granules in it. I used it every night as a night treatment acne gel. 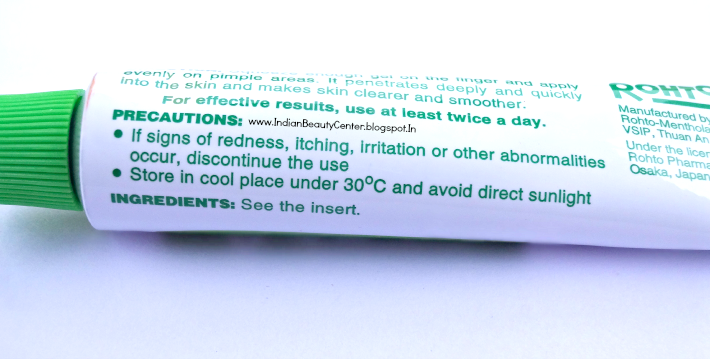 This topical gel for acne contains Sulfur. I used it for like a month and noticed that yes, my skin looks better but the results were not upto my expectations. I have read some reviews where the persons skin got totally cleared and it killed all the acne but in my case, nothing like this happened. The acne just got reduced in size and it did not prevent the occurrence of new pimples. My face looked okay and a bit cured from day 1, at the end of day 30. Anyways, this product did not work for my skin like a charm. It get absorbed quickly but my face becomes greasy within an hour. This product itself is not greasy though, but it does not help in controlling the sebum either. Fortunately, this did not break me out or cause any reactions on my skin. But, truly, it dries out the skin a bit and I used Brihans Aloe Vera Gel to combat the dryness. If used on only specific, small areas, this would last you for a month and if used on the whole face everyday, this would last you for like 2 weeks. Overall, I would not repurchase this product and I do not have much to say about it as it did almost nothing. 6) Did help in reducing acne size but only to a very less extent. Final Verdict- Honestly, I did not find it that good. 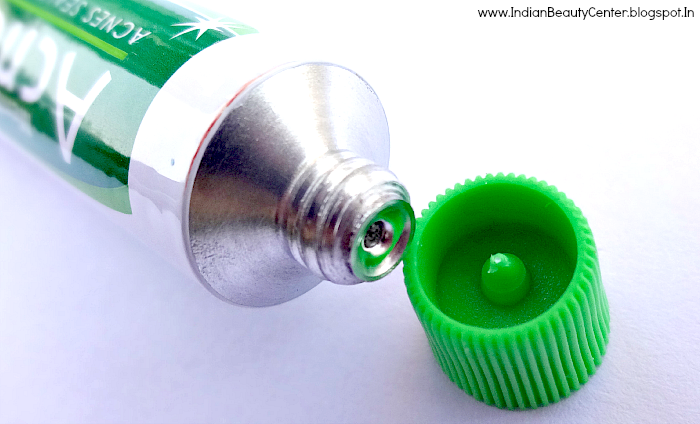 This acne cream just reduced the size of my pimples and that too in like 2 days. So, I did not find this impressive. 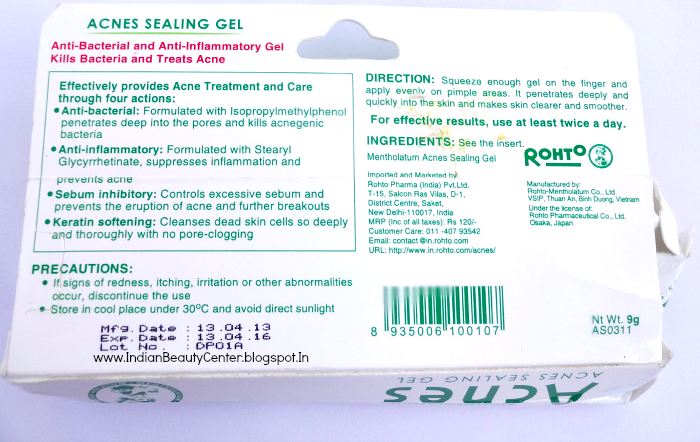 I have read rave reviews about this acnes sealing gel but for my sensitive, acne prone skin, this did not work. Yes, it did not irritate my skin or break me out. 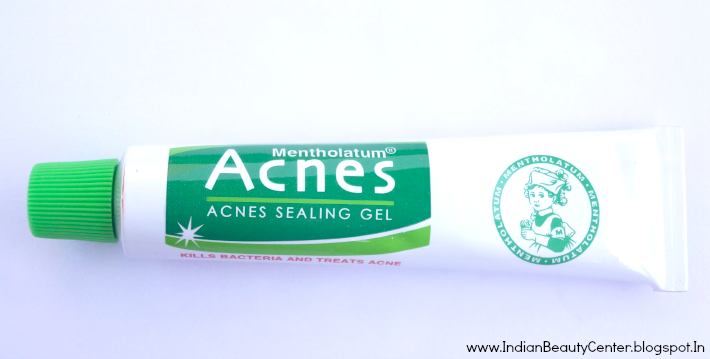 However, if you are looking for an affective acne cream, then, this would not be the first preference. Damn, I was thinking of getting this product! Such a shame it didn't work for you. Thanks for the honest review dear. Doesn't look like a magic cream, I will skip it if I spot it anywhere! Thanks for save my money. Honest review. Thanks for the honest review, one more acne product to scratch of my list. That is a honest review dear.... nice to know abt a new brand !